“Do I need an M&A advisor?” Thousands of business owners ask themselves this question every year when they begin to think about selling their companies. Wary of seemingly exorbitant fees and unsure of the true scope of the role, CEOs often underestimate the value a seasoned and qualified investment banker or advisor can bring to a transaction. While it’s certainly possible for business owners to handle sales on their own, those that opt to do so will likely make very costly mistakes throughout the transaction process. Even if things go smoothly, the opportunity cost may be high. 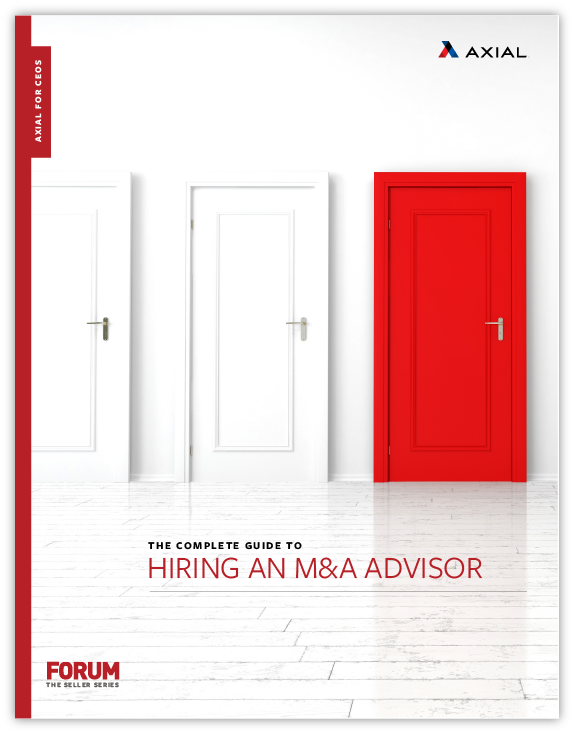 In the study Does Hiring M&A Advisors Matter for Private Sellers? several academics analyzed a sample of 4,469 acquisitions of private sellers from 1980-2012 to “examine the decision and consequences of hiring sell-side M&A advisors.” The study showed that “private sellers receive significantly higher acquisition premiums when they retain M&A advisors” and this held true across all deal sizes. In other words, advisors generally lead to better deals than CEOs and business owners can get on their own. Read on to understand why advisors are so valuable, how to choose the right one, and how to structure and negotiate the best deal for you.